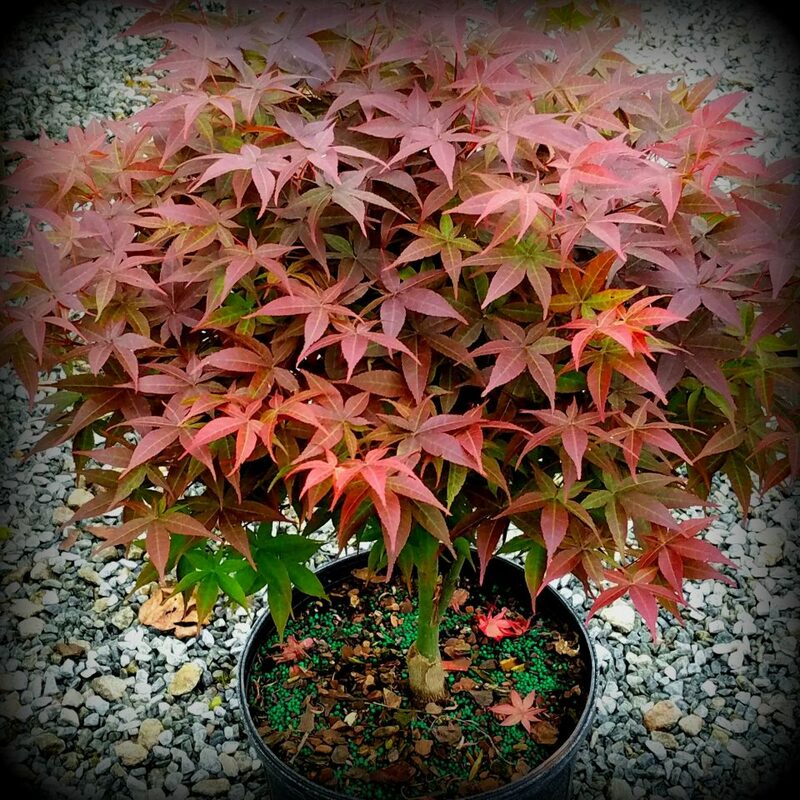 Rhode Island Red Dwarf Japanese maple is a standout from all other maples. Beautiful maroon leaves make a dense round canopy. It is one of the easiest dwarf forms to grow. The leaves emerge bright red in spring. Fall color is orange to red. This beauty demands attention from everyone who walks by! Make sure you plant your Rhode Island Red with good drainage. Proper drainage techniques include planting the tree in a raised bed, planting on a slope, and creating a planting mound 4 to 6 inches above the existing grade. 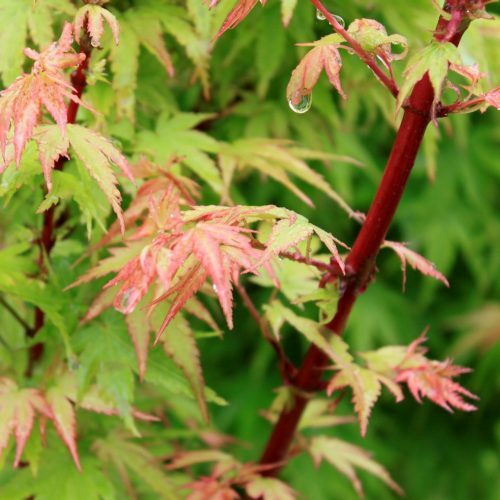 Japanese Maples require moist, well drained soil. Amend the soil with organic material. We recommend adding an organic mulch over the planting area. Rhode Island Red is suited for sun and part sun conditions. 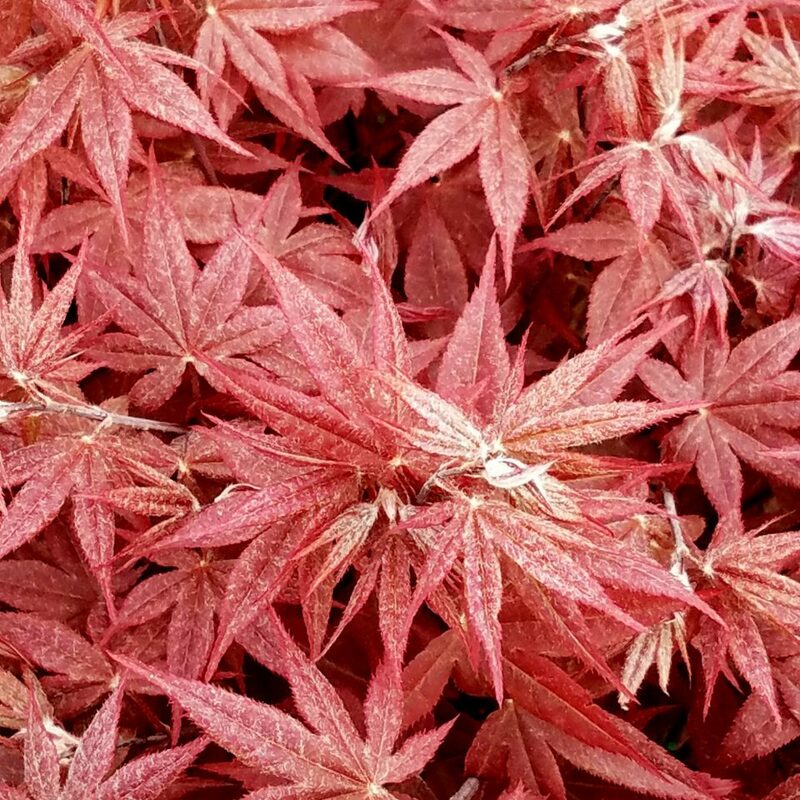 Norm posts seasonal tips for providing optimal conditions for the health and appearance for Japanese maples. 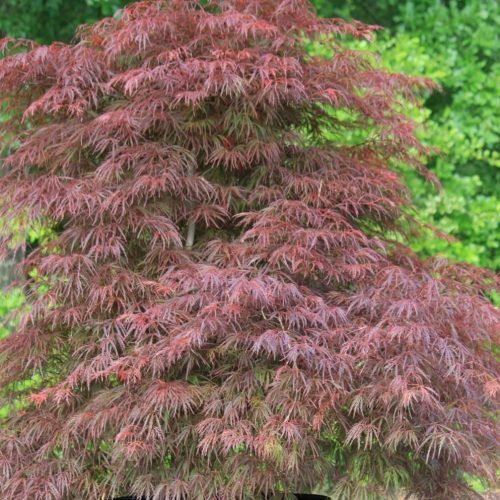 He has extensive training and experience in maple care and pruning. 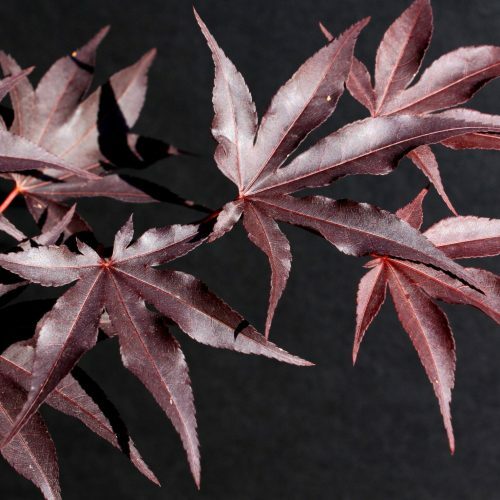 Here at Garden Design Nursery, we graft and grow our Japanese Maples to the highest standards. Rest assured we offer the healthiest and largest plants available on the web. We carefully select each plant for quality, and individually boxed with the growing container. This ensures the tree arrives with the root system intact, and allows you to plant your new tree at your convenience!